LOS ANGELES, CA, UNITED STATES, The Los Angeles premiere of the highly anticipated movie, ”Bomb City”, will be hosted by punk icon CJ Ramone on February 9th, 2018. Ramone, vocals/bassist of The Ramones, will host a live Q&A with the cast and crew of the film during the premiere event. Throughout the film, the radical appearances of the punks stir social intolerance within the community, particularly with a group of high school football jocks known as “white-hatters.” After losing a football game, the white-hatters have an altercation with several punks, igniting a series of hostile encounters between the two groups. One evening, these encounters climax with a horrific, violent street fight that would soon become notorious for being one of the most controversial hate crimes in modern American culture. Winner of the Audience Award at the Nashville Film Festival and 2017 Dallas International Film Festival, ”Bomb City” has struck a chord with many viewers across the country. “Brian’s story has touched me since day one,” says actor and producer Major Dodge. “Now we get to share it with the world! I know it will do the same for anyone who watches the film.” UFC Champion “Ruthless” Robbie Lawler was moved by the script and accepted a role in the movie. The Los Angeles Premiere is taking place on February 9th, with an all-star lineup coming to attend and see the movie. “Ruthless” Robbie Lawler (UFC Champion), Shawn Smash & Miguel Conflict with band Total Chaos, Henry Melton (Pro Bowler for the Chicago Bears), Lamarr Houston (Linebacker for Chicago Bears) and many more are moved by these young filmmakers passion for getting this story told and the hard work they put into the film. “Bomb City” stars Dave Davis (The Walking Dead), Glenn Morshower (24, Transformers) Logan Huffman(V, The Preppie Connection), Mae Mae Renfrow (Hunter Street on Nickelodean,) and Major Dodge (Murder Made Me Famous: John Gotti). The film is directed by Jameson Brooks, written by Brooks and Sheldon Chick, and produced by Chick and Major Dodge. 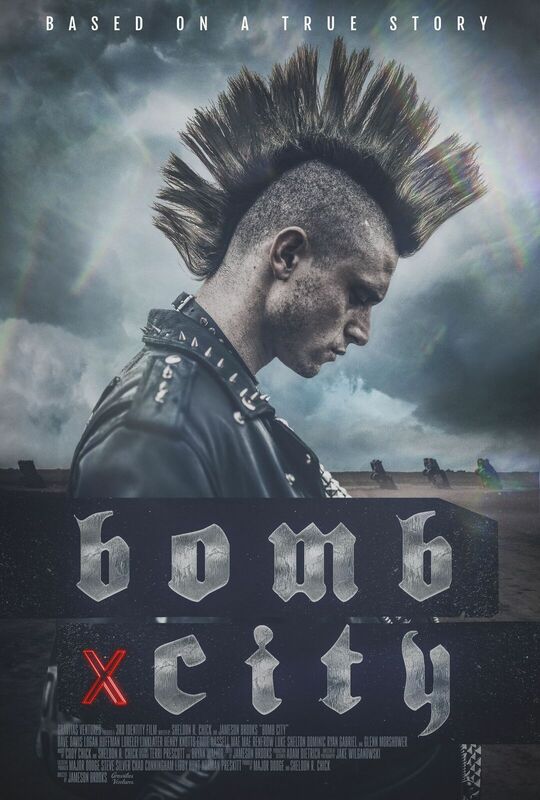 The deal for “Bomb City” was negotiated by Zach Hamby on behalf of Gravitas and by Michael Weiss of Abrams Garfinkel Margolis Bergson, LLP, on behalf of the filmmakers. ‘Cooking Styles of the Rich & Famous’ Debuts on Thanksgiving Day at the nexus of Celebrity – Cooking & Charity.